The dominant landscape of knowledge and policy rests on a fundamental inequality: bodies who are seen as hungry or precarious are assumed to be available for the interventions of experts, but those experts often obliterate the ways that the hungry actively create politics and knowledge by living a dynamic vision of what is ethical and what makes the good life. Such living frequently involves a creative praxis of refusal against imposed frameworks. For Nagar, learning from such refusals requires “hungry translations” that are open and flowing and that are embedded in embodied alliances that require radical vulnerability. Such translations seek to converse across different struggles and meanings in order to co-agitate against universalized languages that erase the vocabularies and visions of those who are reduced to hungry bodies. In reconceptualising politics as a shared and unending labour on an uneven terrain that makes perfect translation impossible, hungry translations trouble inherited meanings of the social, and they make knowledges more humble and more alive to the creativity of struggle. These translations fearlessly search for poetic justice and social justice through a continuously evolving praxis of retelling that animates collective consciousness without compromising the singularities that constitute each community of struggle. 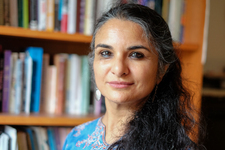 Richa Nagar is Professor of the College in the College of Liberal Arts at the University of Minnesota, Twin Cities, USA, and an Honorary Professor at the Unit for Humanities at Rhodes University (UHURU), Grahamstown, South Africa. Through a variety of inter-woven, creative engagements that have circulated as academic texts, essays, stories, poems, and plays, Prof. Nagar’s work unsettles the privileged location of academic knowledge production, while also using that location to critique the persistence of multiple oppressions in national and transnational feminist movements and in academia. 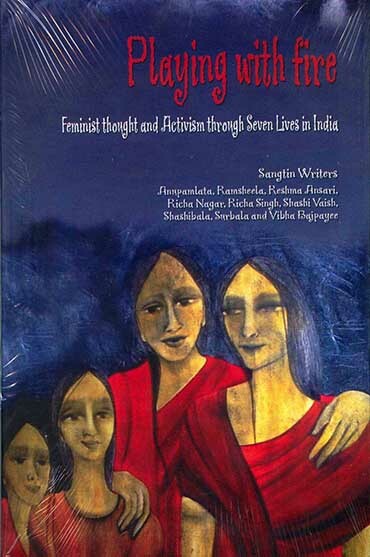 Nagar’s first monograph, Playing with Fire: Feminist Thought and Activism through Seven Lives in India (Nagar 2006), is the outcome of years of collaboration with village-level activists and feminist NGO workers in Uttar Pradesh, India, who were also co-authors of the book (the Sangtin Writers Collective). First published in Hindi as Sangtin Yatra (Anupamlata et al. 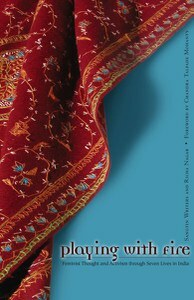 2004), the book challenges academic norms of authorship; it also sparked significant controversy in India and beyond over its treatment of casteism and classism in institutionalized feminist spaces. Nagar’s work with Sangtin Yatra (on which see here) contributed directly to the creation of a grassroots movement of peasants and laborers, called the Sangtin Kisan Mazdoor Sangathan, in the same district of Uttar Pradesh. The movement challenged mainstream notions of empowerment, while demanding the Indian state implement its welfare policies. 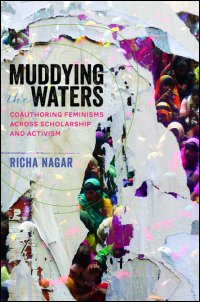 In 2014, Nagar published Muddying the Waters: Coauthoring Feminisms Across Scholarship and Activism (Nagar 2014). The book reflects on Nagar’s two decades of transnational feminist praxis and grapples with the complexity of working through solidarities, responsibility, and ethics while involved in politically engaged scholarship. Nagar’s work has always mobilized creative genres to overcome the limitations of more “authoritative” knowledge. A recent example is her collaboration with actor and director Tarun Kumar to create a multi-sited theatre project called Parakh. The project brings together amateurs and professional actors to reflect on social issues through literary texts and through their own stories. Nagar writes in Hindi and English; her work has been translated into Bahasa Indonesia, German, Italian, Mandarin, Marathi, and Turkish. Her book, Hungry Translations: Relearning the World Through Radical Vulnerability, is forthcoming with the University of Illinois Press. As an introduction to Prof. Richa Nagar’s 2017 Antipode RGS-IBG Lecture, we have made a selection of recent papers available to readers without a subscription. Together they reflect themes germane to Nagar’s work, especially subaltern knowledge-making, activist-academic collaboration, and feminist theory and praxis. 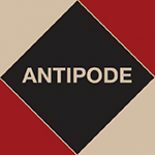 Many thanks from everyone at Antipode to Wiley’s Rhiannon Rees for all her help with the lecture series and virtual issues – nobody does it better! This entry was posted on 31 October 2017 by Antipode Editorial Office in News and tagged activist-academic collaboration, alliance building, experts, feminism, feminist theory and praxis, hungry translations, India, knowledge production, NGOs, people's theatre, politics, precarity, privilege, radical vulnerability, refusal, responsibility, scholar-activism, singularity, solidarity, subaltern knowledge-making, transnational struggles, universalism, Uttar Pradesh.